Our King of optical sorters! 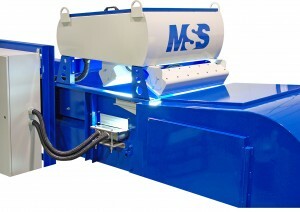 Using an ultra high-resolution color camera system, the L-VIS™ is capable of sorting even the smallest and thinnest metal particles, down to less than 1mmThe L-VIS™ provides excellent performance for applications such as sorting copper and/or brass from aluminum. A proprietary algorithm is available for the detection of wires (sorting by shape), coated or uncoated.